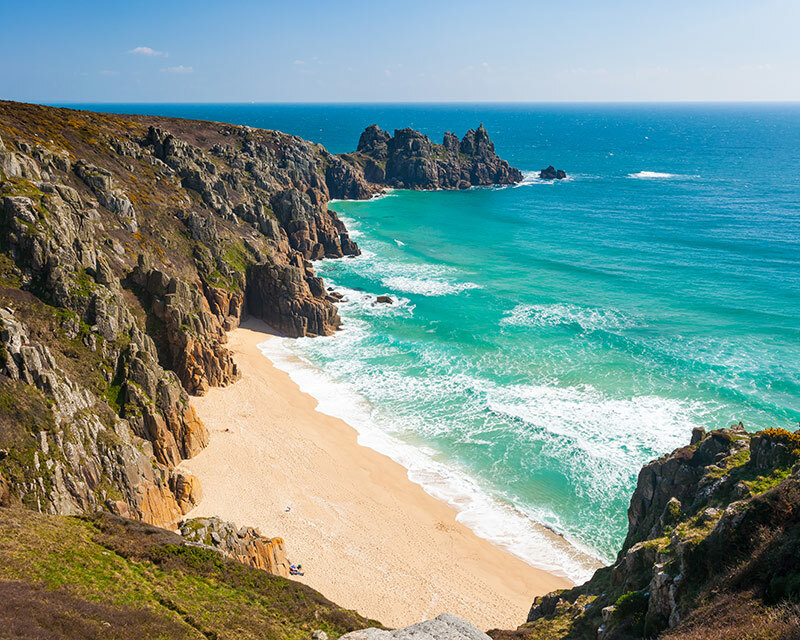 Reachable only by boat or a 15-minute hike, this gorgeous sandy cove is one of Cornwall's treasures. 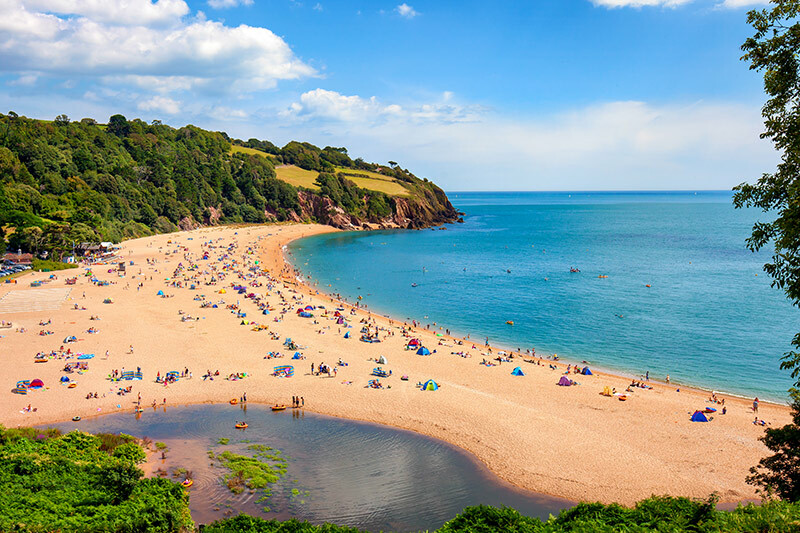 Found in South Devon, this beach offers a stunning backdrop of countryside combined with stunningly clear water to dip in. 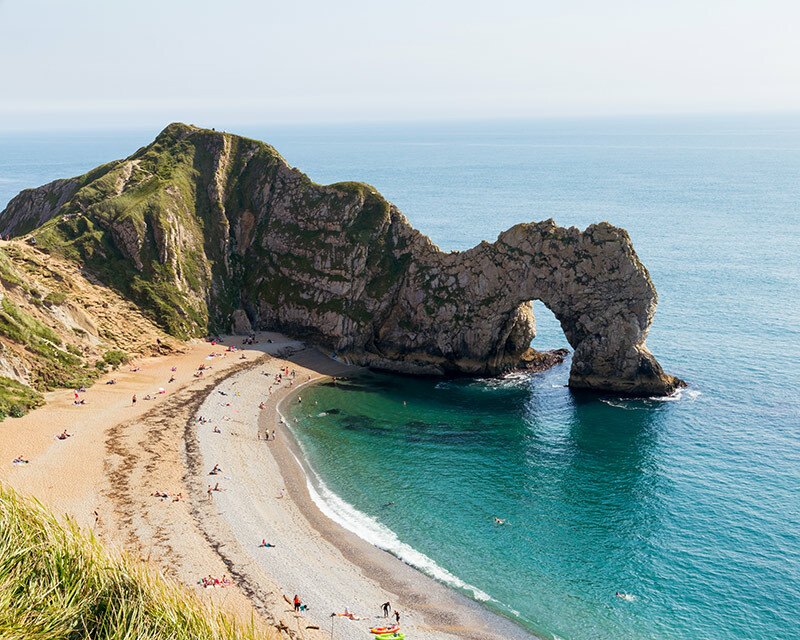 One of the UK's most popular coastal landmarks, this beach is worth a visit any time of year as it always looks spectacular. 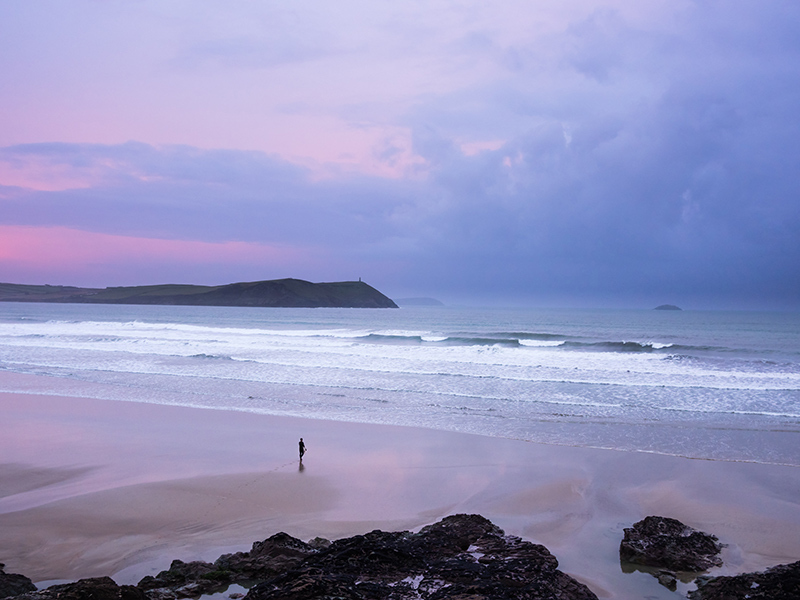 Feauturing clean pale sand and gorgeous turqoise rockpools, this is a paradise for surfers. 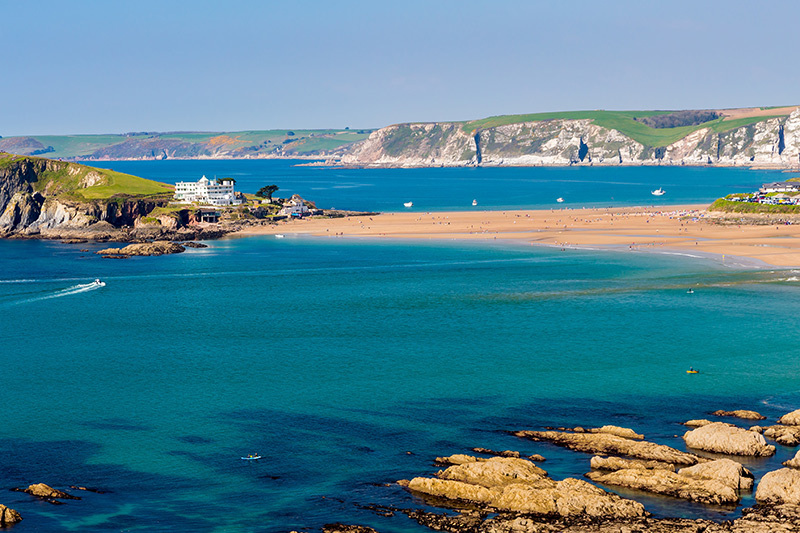 You can even walk all the way to Burgh Island! 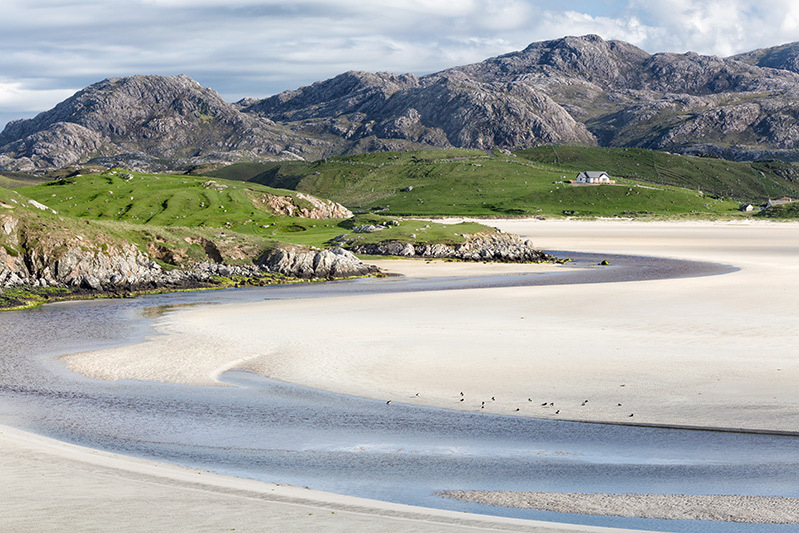 Found on the Isle of Lewis, this beach offers a gorgeous cerulean shoreline and beautiful clean sand. The incredibly calm scenery here offers a fascinating escape from city life. 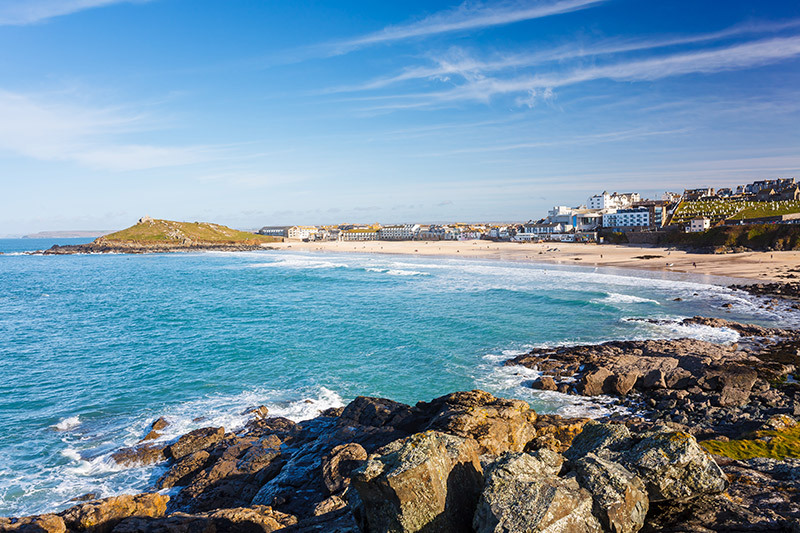 Incredibly popular with surfers and families alike, this award-winning beach offers a great day out, with the lovely St. Ives providing a wonderful town to explore too. 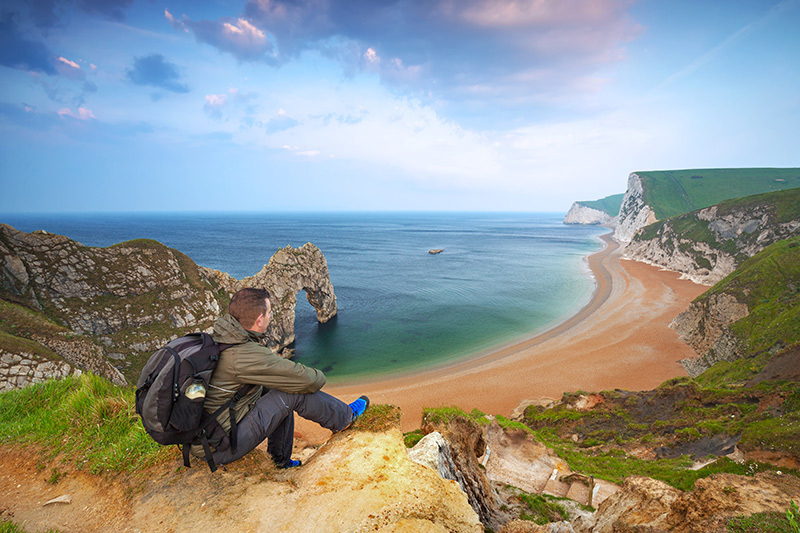 One for the early risers, this gorgeous beach offers a stunning seascape bracketed by dramatic cliffs. Perfect for surfing, watersports and sunsets. 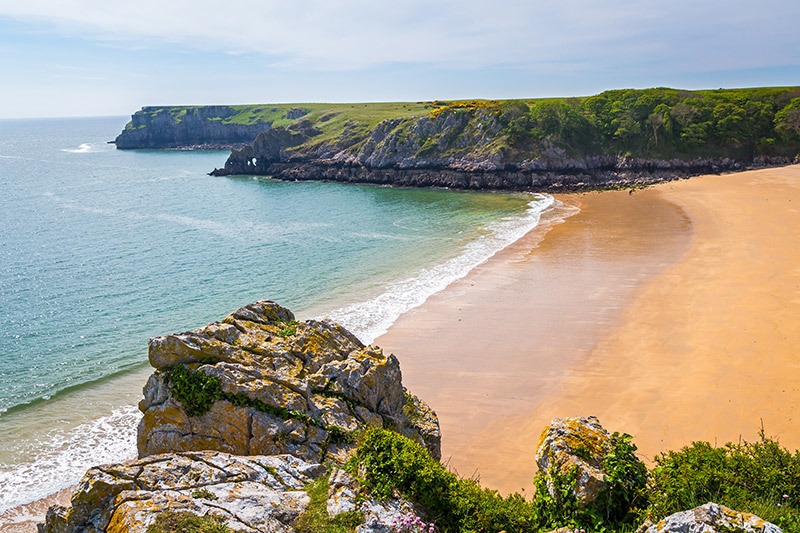 Found in the South of Wales, the hugely popular Barafundle Bay is a wonderful sandy beach with equally as astounding cliffs to hike across. 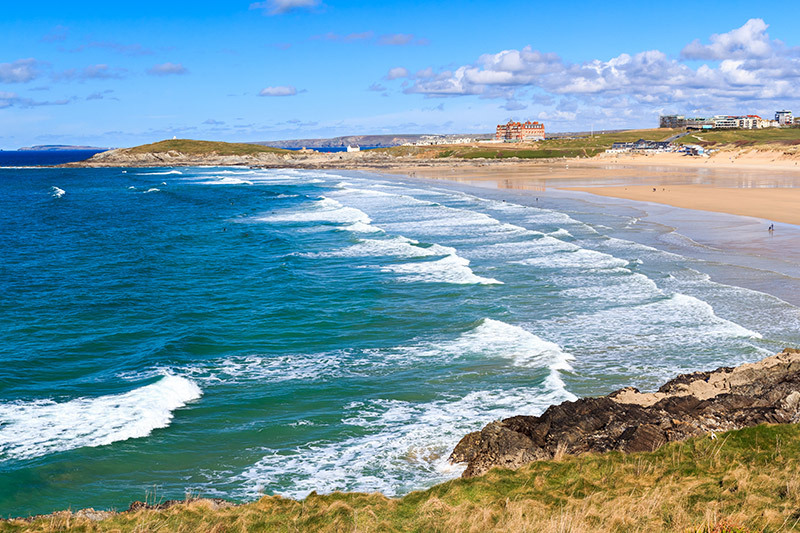 One of Newquay's most popular spots for families and surfers, Fistral provides a long stretch of sand that looks out over the ocean. A pristine piece of land, with white, sandy beaches and milky-blue waters. 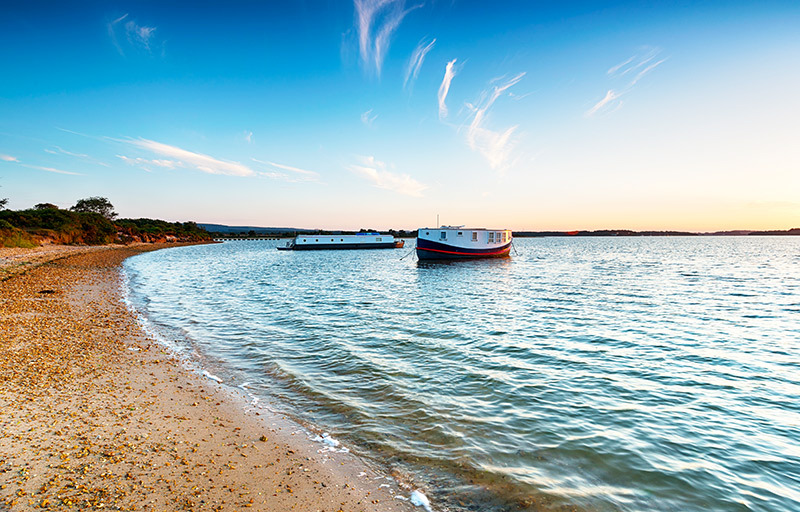 The perfect place to enjoy the rare UK sun and make life-long memories with your children.